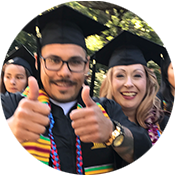 The Gavilan College Admissions and Records department is here to support you throughout your college journey, from applying;and;registering for classes, to signing up for graduation and requesting transcripts. Many of these processes can be handled online through your MyGav account, but if you ever need help along the way, feel free to contact us or stop by the Welcome Center! Note:Some students may be able to skip some of the New Student steps outlined below. Complete the Exemption Form if you think you may qualify. Once you have applied, you will have a myGAV account login. This is your online portal for 24/7 access to class registration, student records, financial aid, and other services. You may have already been placed by CCCApply. Check your MyGav email to find out or go to www.gavilan.edu/admit/assess.html. 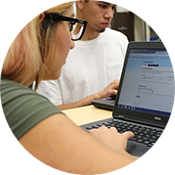 Log into your MyGav portal using your Gavilan ID# and PIN. Click on the STUDENT tab to access the online Orientation session. After completing the Orientation, you may register for classes. You may also meet with a counselor to discuss your course selections. Schedule online or call for an appointment: (408) 848-4723 or (408) 852-2895. Limited counseling services are available at the Hollister and Morgan Hill sites. Come to the Welcome Center (located in the same building as Admissions and Records) to get personal assistance from Gavilan student mentors. They can help you apply for admission, complete your financial aid forms, register for classes, find classrooms, and more! No appointment is required.